July 29, 2009 Las Vegas, NV: A white tiger that is used in a Las Vegas magic show performed a surprise disappearing act – when it escaped from its cage and went on the prowl. Terrified residents in the northwest of the city spotted the big cat wandering the streets on Thursday evening. Police and the Animal Rescue Service were alerted and the tiger was cornered in a family’s back garden. Police Lt. Les Lane said the cat belonged to Fercos Brothers magic act. Zuzana Kukol, the owner of the REXANO website that attempts to discredit those who oppose the use of big cats in circus acts, claimed to be training tigers for the 6th generation Fercos Brothers circus act in an online post to a snake owners blog. The Fercos Brothers operate out of Pahrump, NV and FL at 6155 S.W. 123rd Av Miami, FL 33183. Why is Zuzana Kukol of REXANO trying to discredit Big Cat Rescue? Gert “Abby” Hedengran got the hell out of California. He and his wife, purveyors of an exotic animal sanctuary, lost a Siberian tiger in the suburbs of San Diego and then allegedly told authorities they didn’t own the 350-pound feline, which roamed for three weeks before it was shot. RIP Tuffy. Facing federal litigation, the Hedengrans and their menagerie – 21 exotic cats in all, including two more tigers and three lions – ran right to Pahrump. But the Nevada town where Gert Hedengran sought solace in 2005 didn’t exactly extend a welcoming hand to the big-cat collector. Hedengran got death threats. All around him, Pahrump residents debate the practicalities of keeping big cats – or dogs with wolf blood, pythons or any exotic animals – as pets. This argument over exotics captures something of Pahrump’s future. The small town, set in one of the country’s most desolate counties, shoulders explosive growth. The result is a mounting tension between longtime residents, who sought freedom in the remote, and new-to-town retirees and discount-rent snipers, who inadvertently import a cosmopolitan sensibility. It’s a sign that times are changing in Nye County – a Wild West tamed and ever tamer. Hedengran, whose attorney insists he’s mum to the press, may unwittingly advance the cause against exotic animal owners. Nye County officials have long entertained imposing more stringent regulations on exotic pet ownership. Unfortunately for Hedengran, he’s an immediate and shining example of careless cat ownership. Zuzana Kukol, who lives on the outskirts of Pahrump with a tiger named Pepper, a lion named Bam-Bam, a bobcat named Jasmine and an ocelot named Isis, puts it simply: “They wanted to do all these regulations before Abby came to town. Abby just gave them a reason to bring it up again. The lynx was quickly tranquilized and captured on someone’s front porch. Hedengran told California game wardens he didn’t immediately notice the animal was missing. He told the authorities nothing of Tuffy. “Twenty years ago, anybody who wanted to do anything could probably go to Pahrump. Almost anything. If you wanted to hide, you could go to Pahrump,” Kimball said. “As the town gets larger and larger, you are going to need, in my judgment, reasonable guidelines for reasonable activity. After last year’s exotic ordinance outcry, Kimball started an ad hoc animal advisory board that now meets regularly. By spring, the board plans to propose a new set of animal regulations. For exotic owners like Kukol, a lanky Czech tiger trainer, Pemberton’s ordinance set an unsavory precedent. And informing everybody within a one-mile radius? That’s the stuff of pedophiles, she says, not pet owners. Kukol is allergic to cats, and can’t keep tabbies in the house. Outside, her allergies aren’t irritated by her tigers. There were 17 attacks by big cats in the U.S. in 2005, according to the Captive Wild Animal Protection Coalition. That tally, the group’s most recent annual total, includes Pahrump resident Sandy Allman, who lost a finger after she was bitten by a leopard belonging to former Nye County animal control chief Karl Mitchell. He was imprisoned on theft charges and cited by the U.S. Department of Agriculture for violations of the Animal Welfare Act. There are four known big-cat owners in Pahrump, and possibly a fifth, a recluse whose feline husbandry can’t be confirmed. 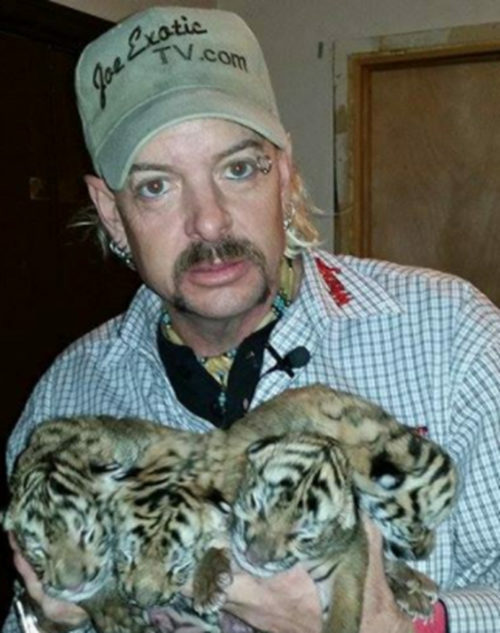 Brian Turner owns a leopard and two cougars. His Runnin’ Wild nature center is licensed to serve as a temporary holding facility for rescued exotic animals, typically wolves. Turner is against the proposed exotic animal ordinance. More bluntly, he’s against Pahrump. Turner can’t leave because he has sunk his savings into the nature center, which doesn’t turn much of a profit. “Out here the only business is European tourists who might come by in the winter, on their way to somewhere else,” he said. 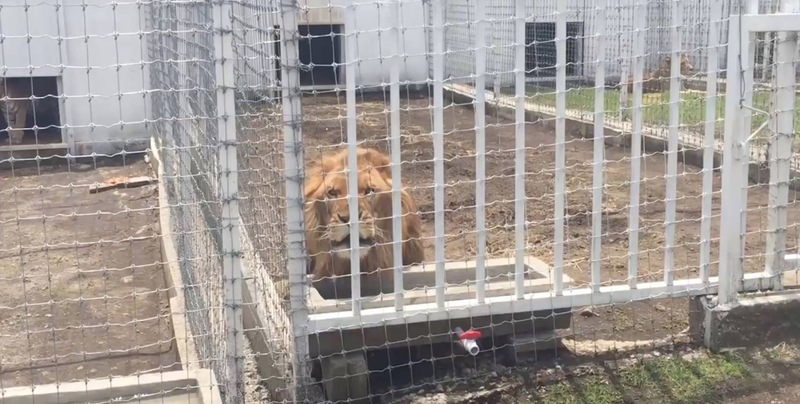 The cost of keeping exotic animals could skyrocket if Nye County’s ad hoc animal control board proposes additional caging requirements, annual licensing fees and expensive insurance policies. Rick J. Lindsay, president of Evolution Insurance Brokers, one of the country’s only exotic animal insurers, estimates that a $1 million animal liability package would cost at least $5,000 to $7,000 annually. Roughly 30 percent of the approximately 2,000 exotic animal owners Lindsay insures keep big cats, though for cost reasons, most private owners go without insurance. Money was certainly a problem for Hedengran. An Indiana exotics breeder who sold a $75,000 “white lioness” named Sitara to Hedengran is suing him for failure to make payments on the pet. Richard Maier, a California real estate broker who has known Hedengran for more than 40 years, says Hedengran lived off charitable donations to his nonprofit Tiger Creek Foundation. Maier said he loaned Hedengran more than $100,000 in 2002 to help the hemorrhaging foundation out of the red and still hasn’t seen any repayment. Maier has stopped speaking to Hedengran. Fiascoes like these solidify Nye County Sheriff Tony DeMeo’s support of the proposed animal regulations, and his disdain for people who want to keep their pets private. Check for yourself to see if Zuzana Kukol’s facility meets the sanctuary standards for an accredited animal refuge.